For years I've been looking for a high heeled boot that has 1.) insulation from the cold, 2.) decent, rubberized tread, and 3.) a waterproof lining. I think I've finally found it. On Ebay I scored these Sorel brand Medina rainboots. They have actual tread on the soles, they're totally waterproof, and while I wouldn't say they're as thermally armored as some full-on Joan of Arctic snowboots, they do stand up to the cold better than a pair of Hunters, which are almost counter productive in their inability to withstand any kind of low temperature whatsoever. I popped a pair of thermal inserts into these ones and they're toasty warm now. This seemed worth mentioning at this brutally cold winter apex. Keep warm out there. Oh, the boots look great. 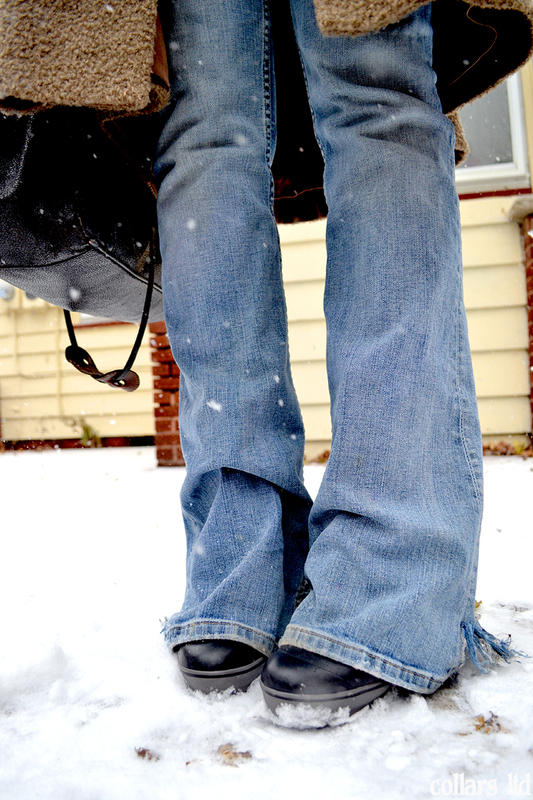 Although I could never be so brave to walk in them in the snow. 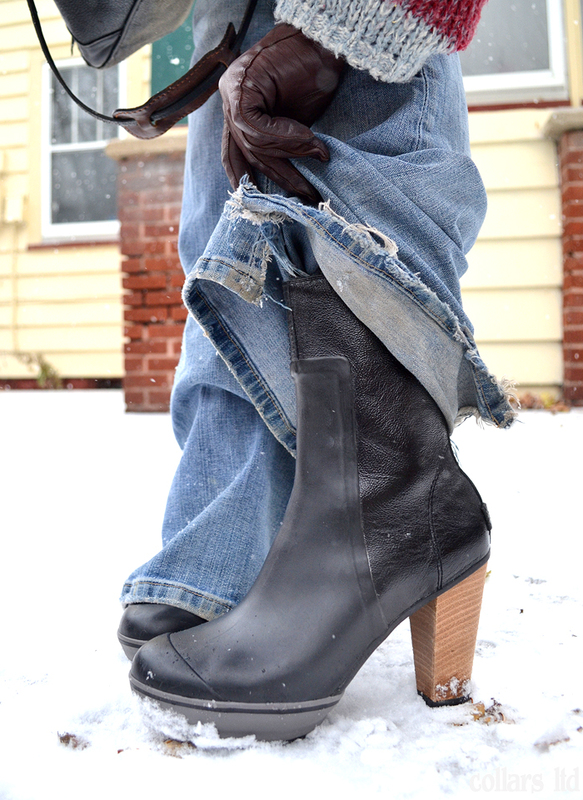 I'm always afraid to slip and fall in heels in winter. Lat's just say snow and ice are not the best options for me :) Can you drive the car wearing them? Very cute boots. It's nice when something functional has style, too. So sweet. Love your style, love your Boots. This Boots is help us when we walk on ice. This Boots so comfortable. Best work boots is so popular for this type of Boots.